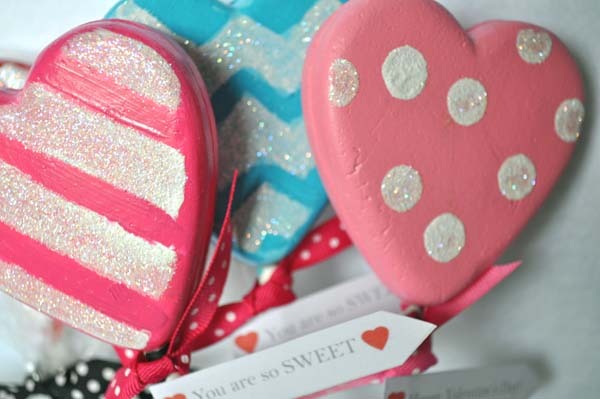 Valentine’s Day is just around the corner, but there is still plenty of time to create a perfect, one-of-a-kind gift for that special someone in your life! 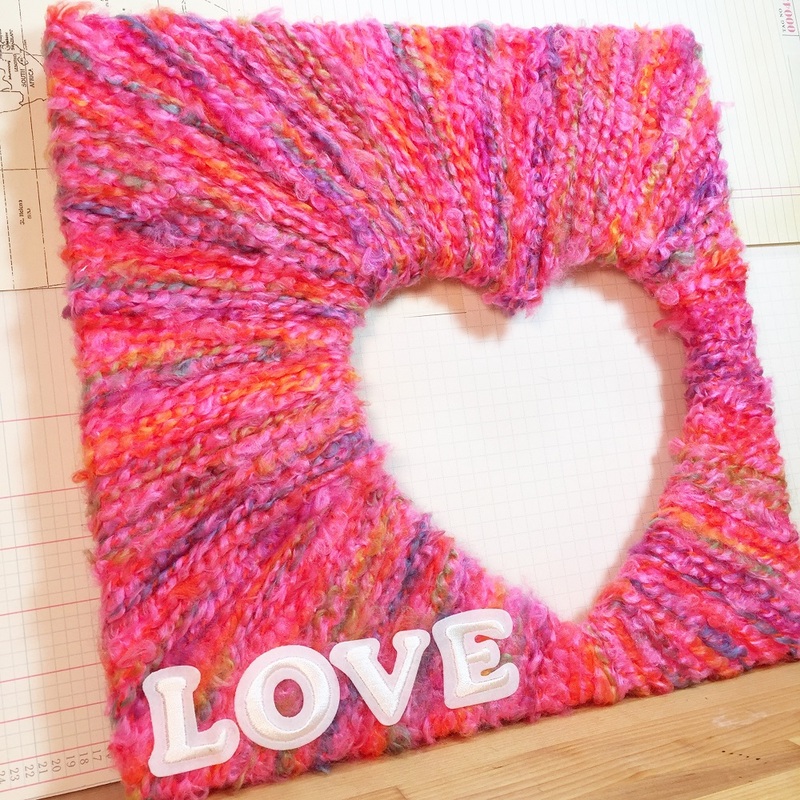 Inspired by the retro resurgence of 1970’s string art, this yarn-wrapped open heart frame is quick and easy, needing no special tools, so the kiddos can definitely help. It looks great as reverse string art – or you can glue a photo on heavy cardstock to the back to peek through the heart opening. 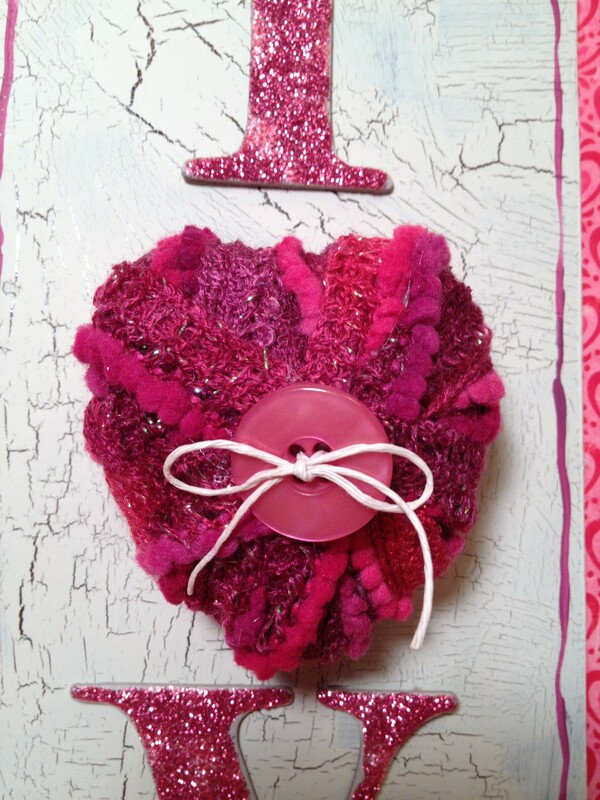 Place this plaque on a shelf or mantle to brighten up your Valentine’s Day celebration or attach a ribbon to the back to hang on the wall or the front door. It’s a lovely way to greet your guests as an alternative to a wreath! 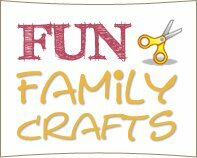 This project goes together in under an hour, so you could make several to give as gifts to the special people in your life. 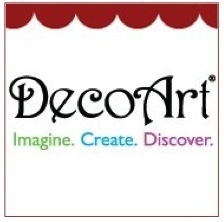 Change the color of the yarn and the wording to match your décor – the possibilities are endless! 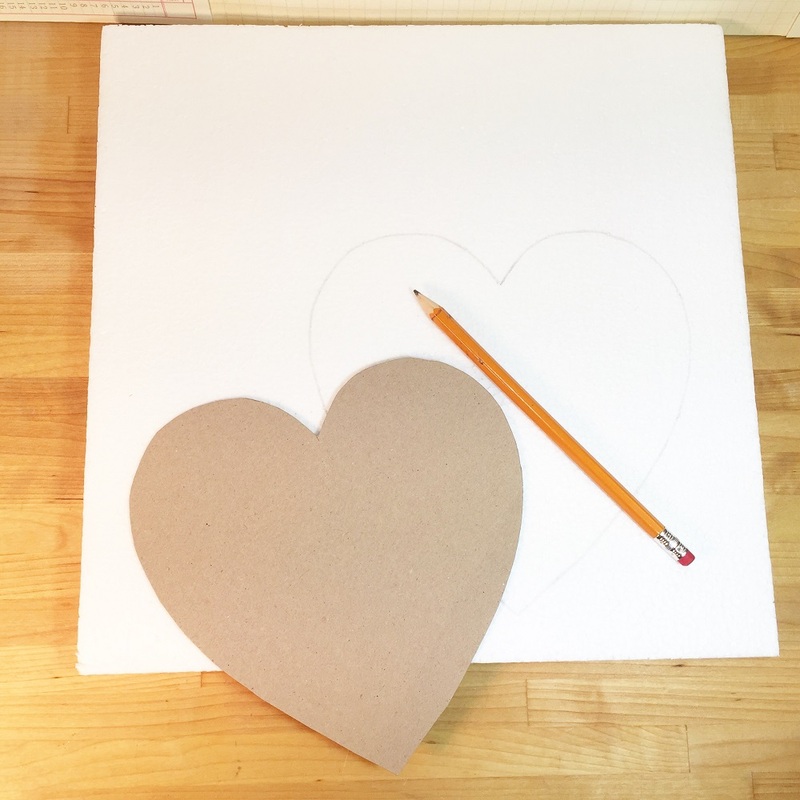 Position and trace a heart pattern in the lower right corner of the Smoothfoam sheet with a pencil. I made my heart the old-school way by folding a piece of paper in half, drawing half a heart and cutting it out. Remove the heart to save for another project. Paint the front and sides of the sheet with a color to match your yarn. Apply heavy-duty adhesive tape on the back of the sheet around the edges. This will help hold the yarn in place. Secure an end of the yarn to the back of your sheet and begin wrapping it around, through the heart cut-out. 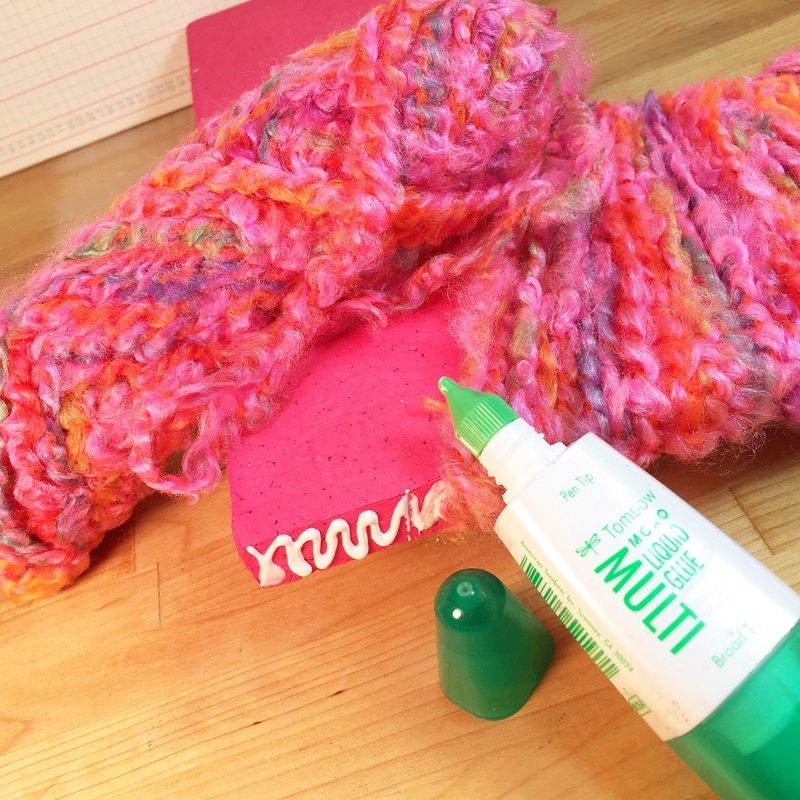 Dab some quick-grab liquid adhesive on the outer corners to prevent the yarn from slipping. Continue wrapping until the entire surface is covered. Cut the yarn and glue the end down in back. 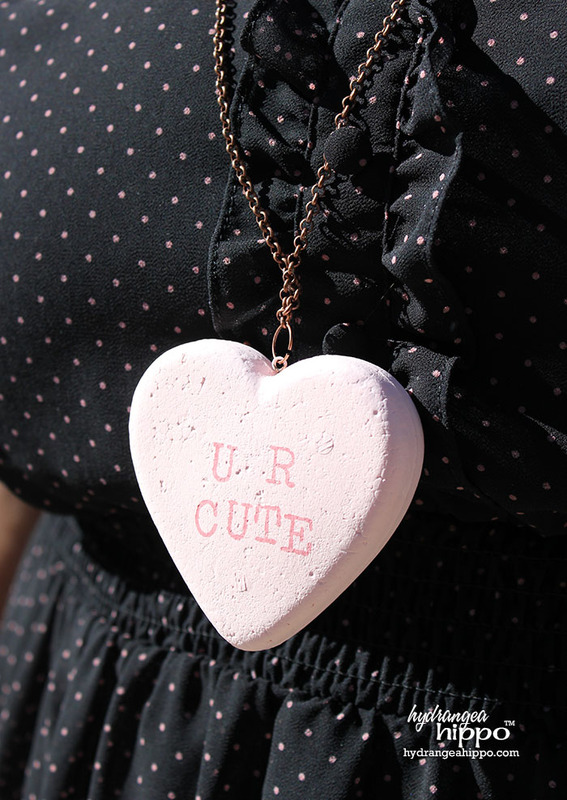 Glue your LOVE letters in place on the front. HAPPY VALENTINE’S DAY and thanks for stopping by! 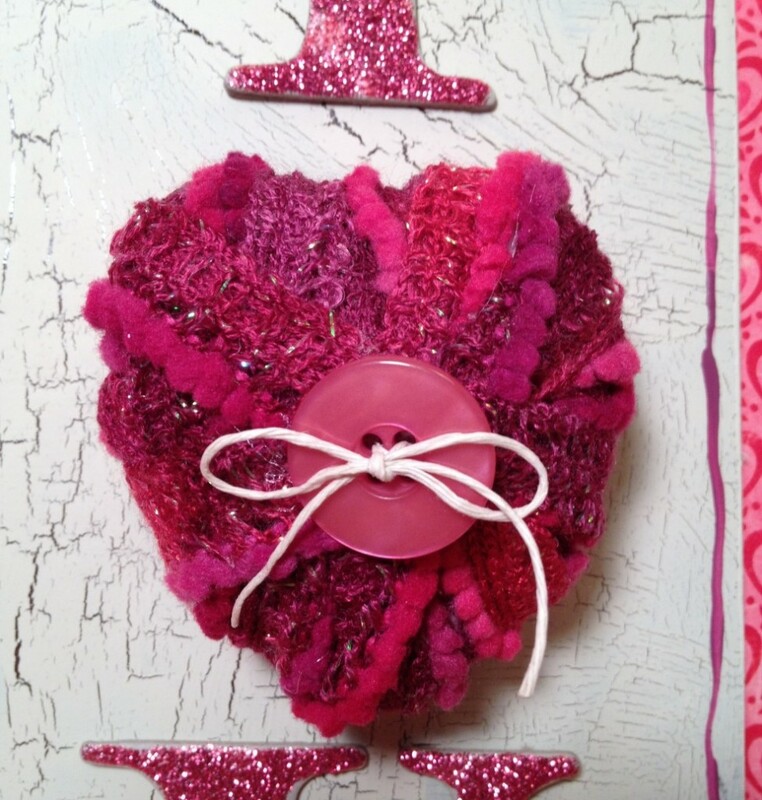 My daughter and I love to create handmade Valentines for her class each year. A few years ago, we made fake foam lollipops with a “You Are Sweet” tag and they were a huge hit. 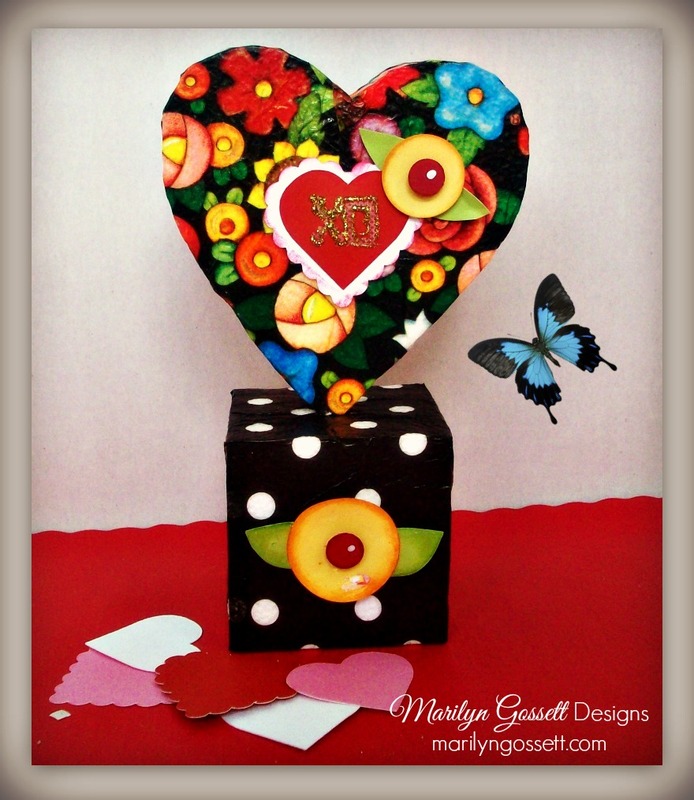 I thought I would share a tutorial for making a similar lollipop Valentine craft using Smoothfoam hearts. 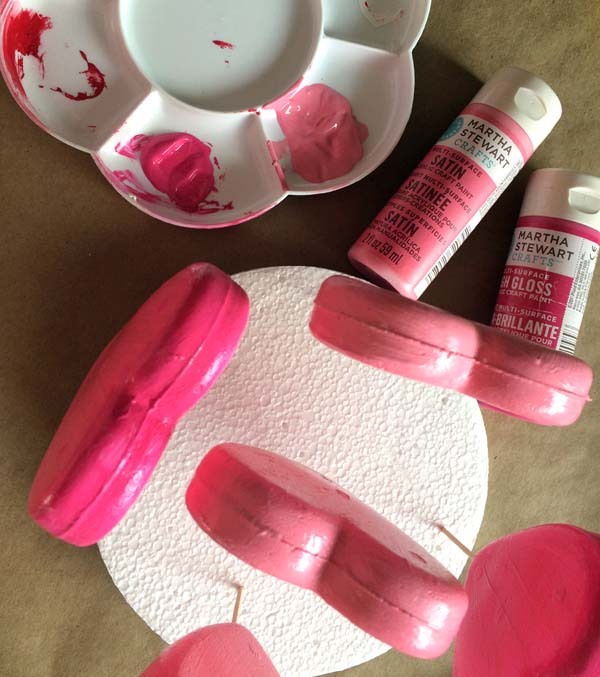 Insert a skewer into the base of a Smoothfoam heart to use as a handle. 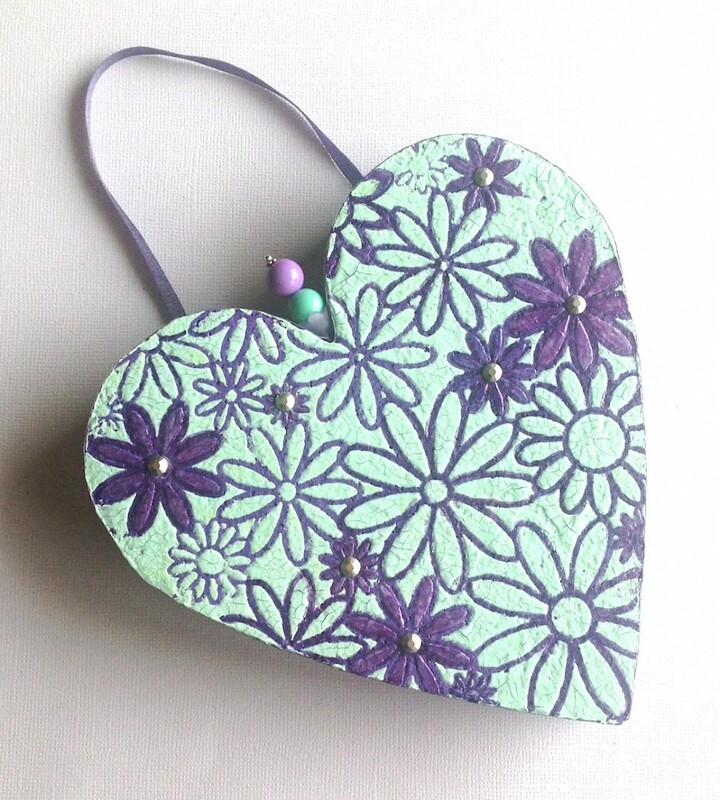 Paint each heart with base coat of your choice of colors. Allow to dry. 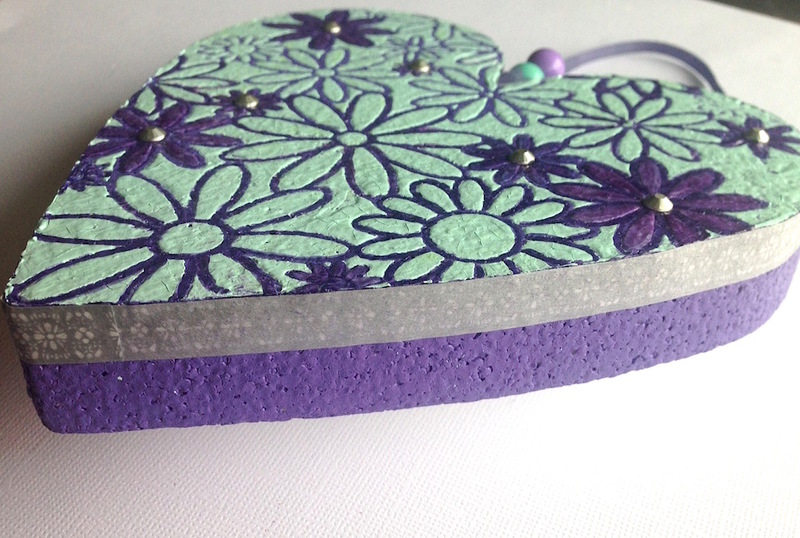 Use a Smoothfoam block or disc to stick the hearts into to dry. 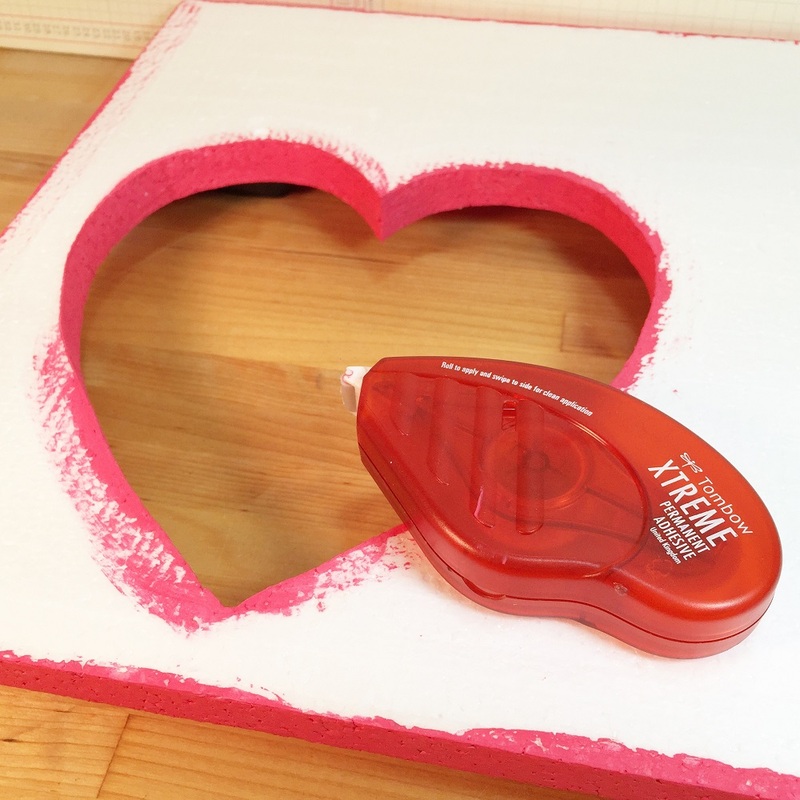 Paint a design on the front of the heart with a second color – use foam stamps or draw your own doodles, or mask a heart with painter’s tape to paint stripes. 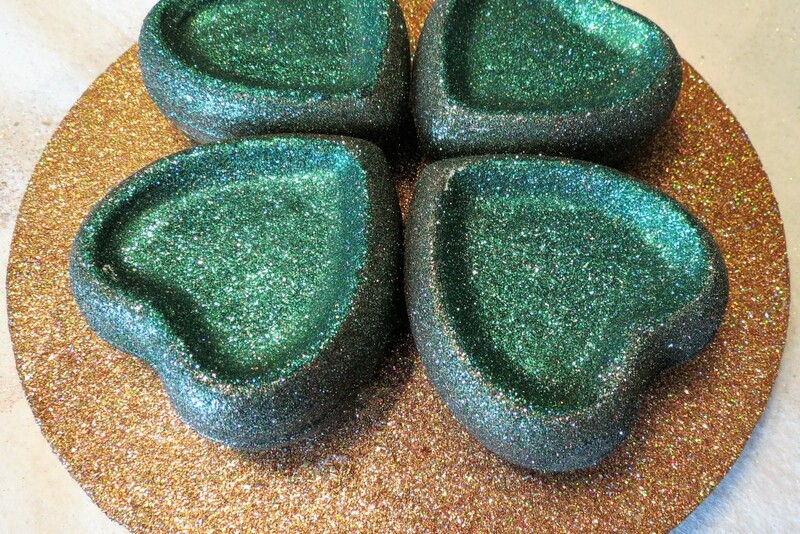 Try sprinkling glitter on top of the paint while it’s still wet. You may need to touch-up some of the base color after pulling off the painter’s tape. To assemble the lollipops, apply a small amount of craft glue to one end of a decorative straw and run the skewer that is attached to your heart through it, adhering the glued side to the heart. 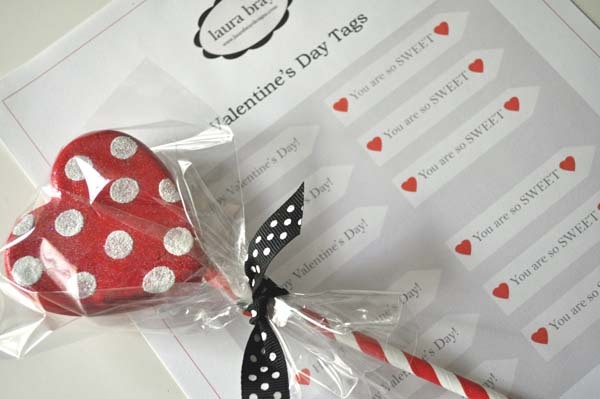 Click here to download, print and trim out some Valentine messages for the tags. Tie a ribbon and glue a tag to the straw. 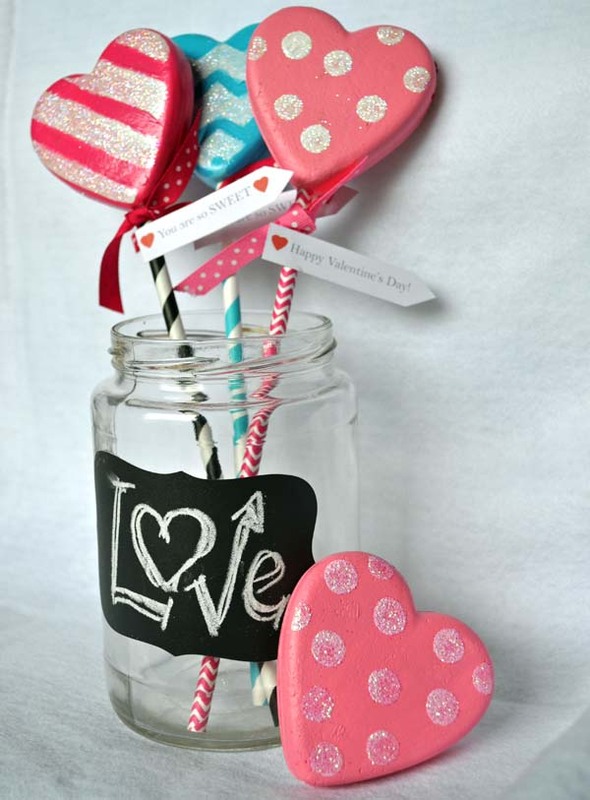 If you want to get really fancy with your lollipop Valentine craft, you can add a cello bag over the lollipop – just make sure they know it’s a fake foam lollipop, not real candy! 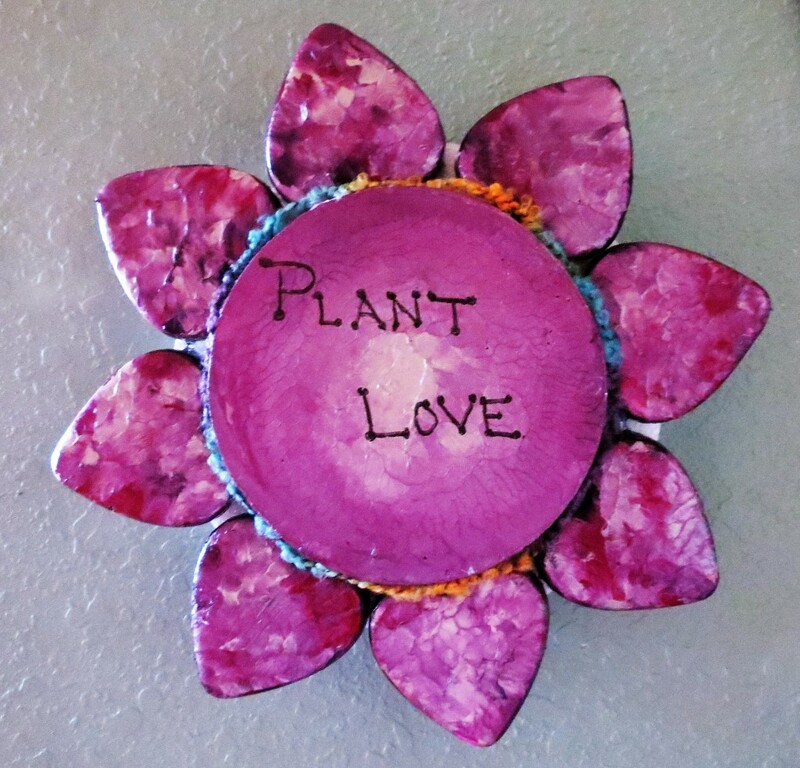 As we are starting a New Year, I wanted to start mine in a positive way with a reminder to plant love wherever I go. Squeeze multiple colors of paint out on a paper plate. 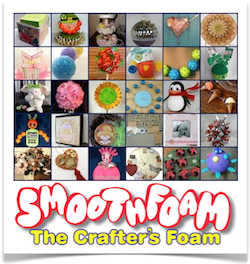 Dip each Smoothfoam shapes in the paint and swirl them around. 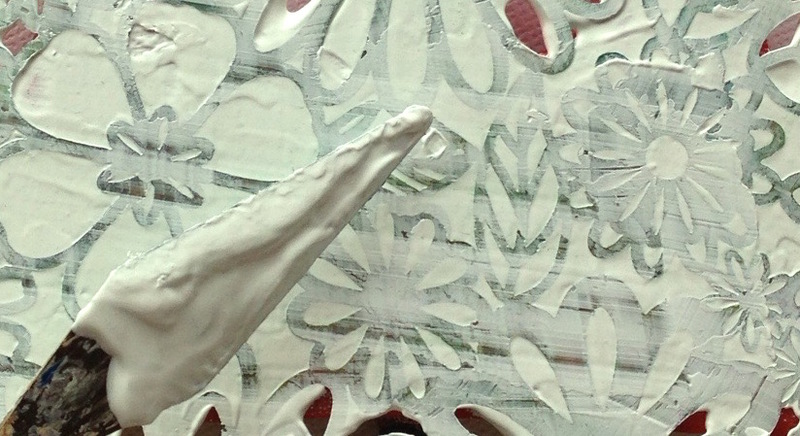 As you lift the shapes up, the paint makes little peaks. 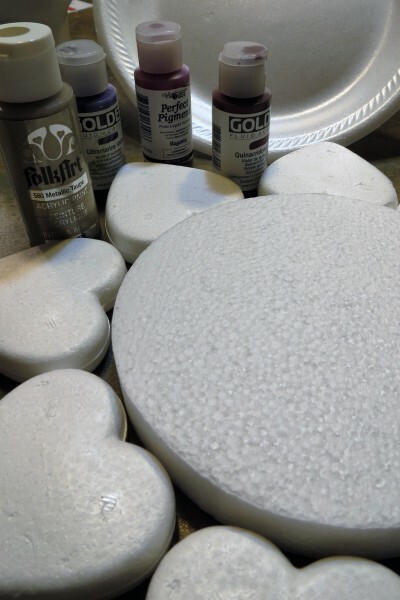 After each piece is dry, paint the edges with the darkest color and let dry. 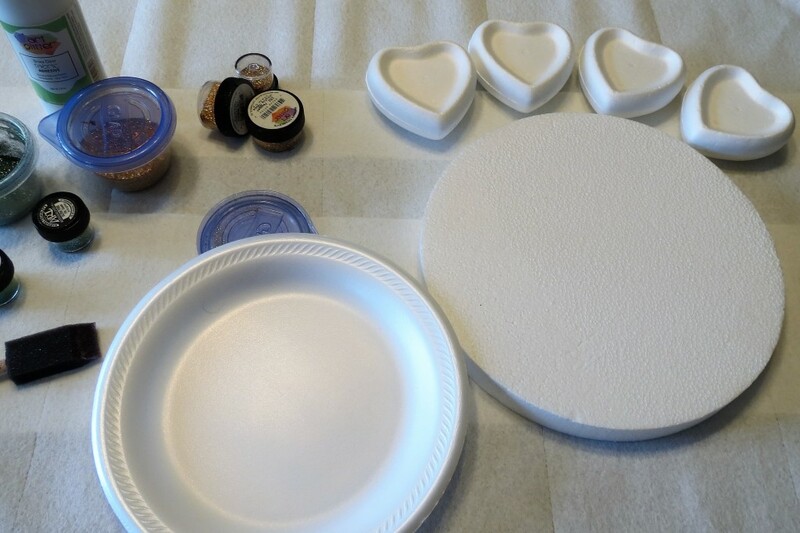 Use toothpicks to attach the rounded parts of the hearts to the circle and secure with glue. Let dry. 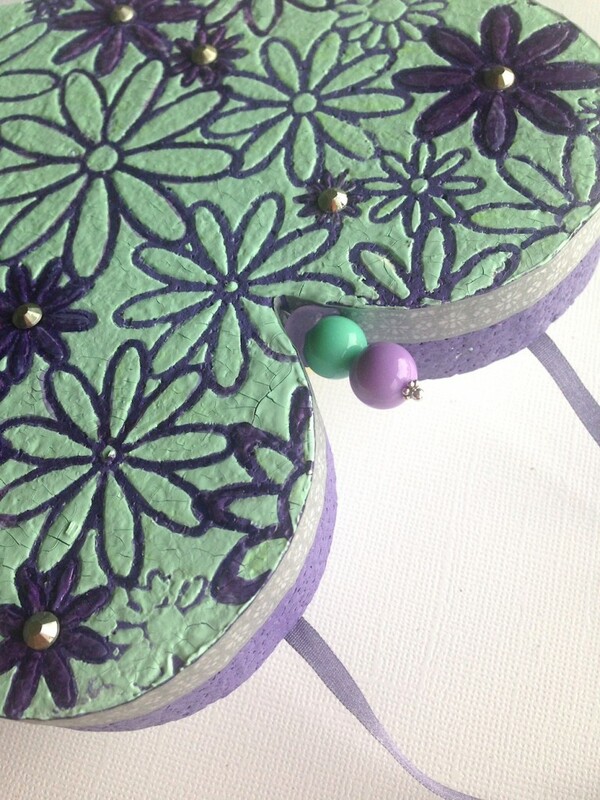 Write your favorite motivational quote in the center of the flower and trim with fibers. May 2016 be filled with love and happiness! 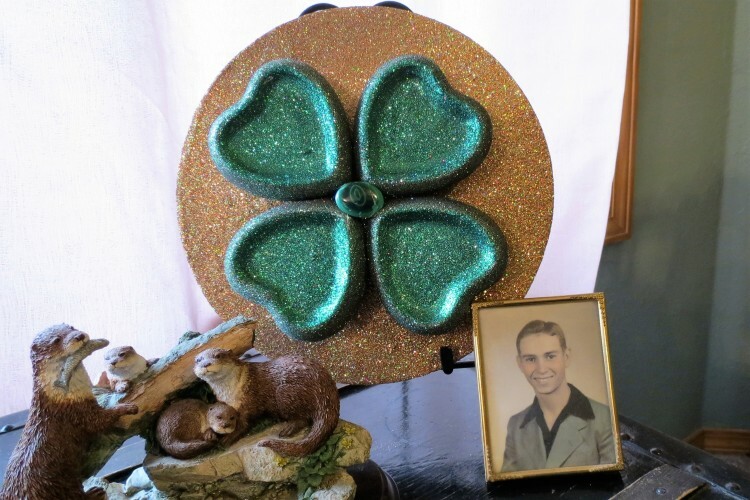 St. Patrick’s Day is always an extra special occasion for me because I have a very good friend whose birthday falls on March 17th! Everything has to be green and sparkly, so I created these shamrock topiaries to add a little bling to the table. They make a great centerpiece when grouped together, or they can be scattered around your party. 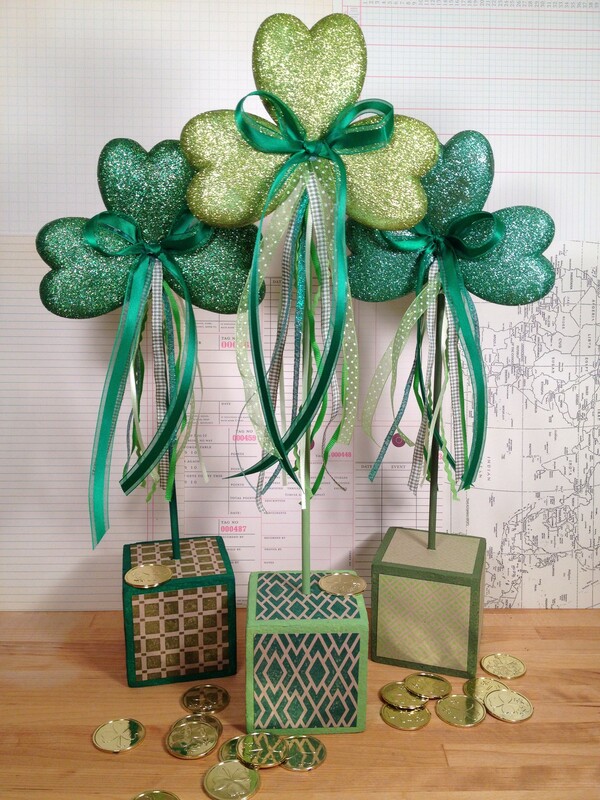 Try using these St. Patrick’s Day table decorations as place cards for a more formal St. Patrick’s Day celebration. 1. Insert skewers in the base of each heart. 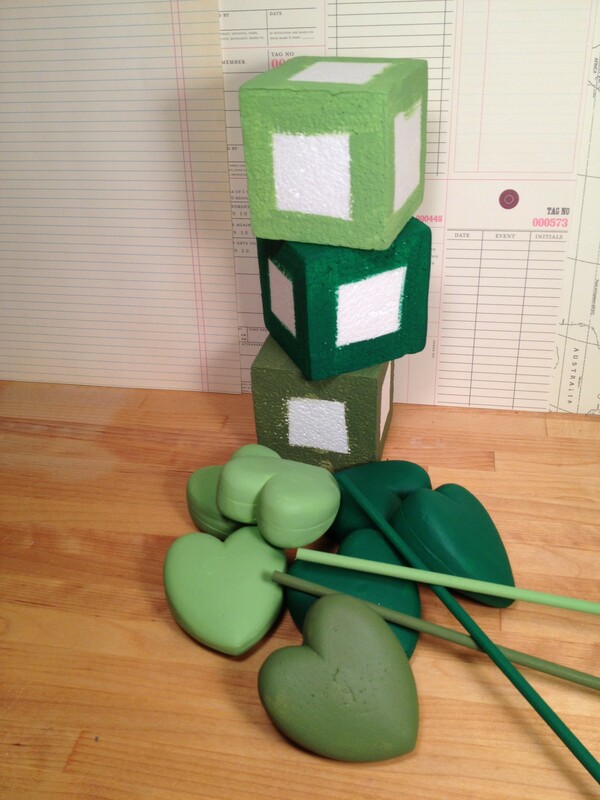 Paint one cube, one dowel and three hearts with each shade of green. Place the skewered hearts in a drinking glass to dry. Repeat with a second coat, if needed. 2. Stamp each of the three stamps five times on the kraft cardstock, let dry. 3. 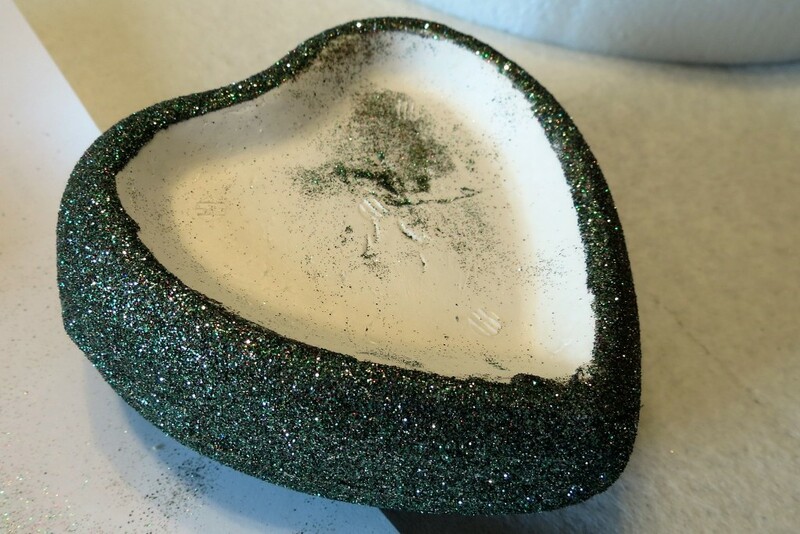 Coat a heart with gel medium and sprinkle with coordinating glitter over a paper plate (fold plate in half to funnel glitter back in to the container after each application). Repeat with the remaining eight hearts and let dry in the drinking glass. 4. Seal the glitter on each heart with another coat of gel medium and let dry. Trim out the 15 stamped squares and glue them to the sides and tops of each cube with gel medium, let dry. Contrast the ink shade with the paint shade for a more dramatic effect. 5. 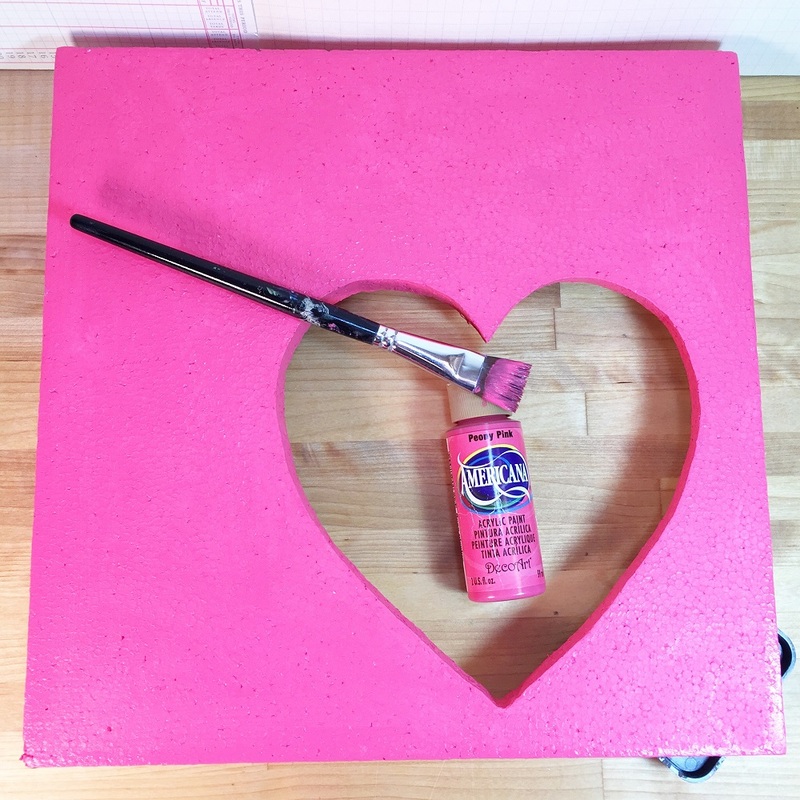 Insert a painted dowel into a heart and secure at the base with the glue gun. Glue the other two matching hearts to each side as shown. 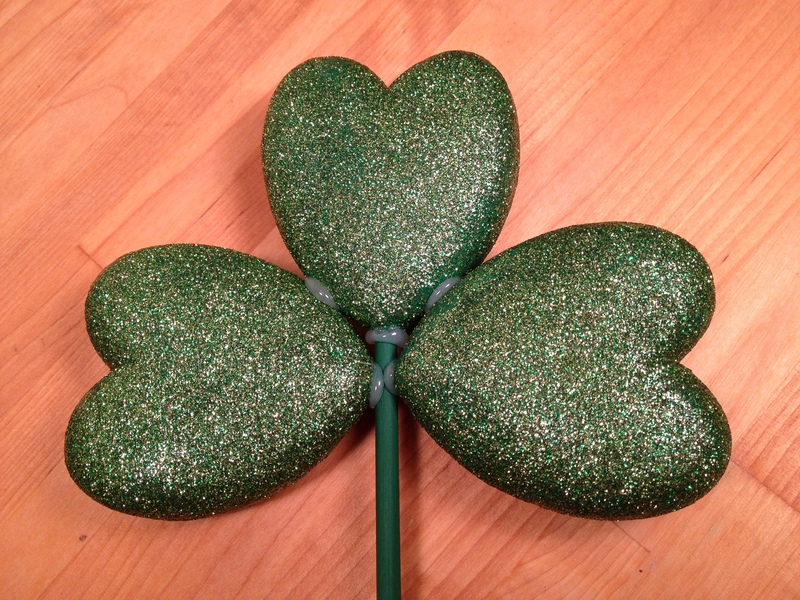 Repeat with remaining hearts to create three shamrocks. 6. Press the opposite end of each dowel into the top of the coordinating cube and secure with low temp glue. 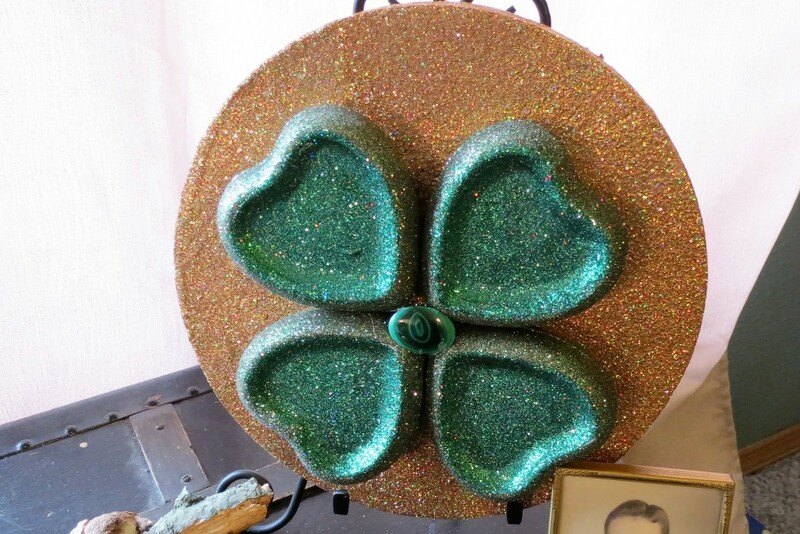 Tie three lengths of green ribbons in a bow and glue to the center of each shamrock. Tie remaining ribbons to the top of each dowel. 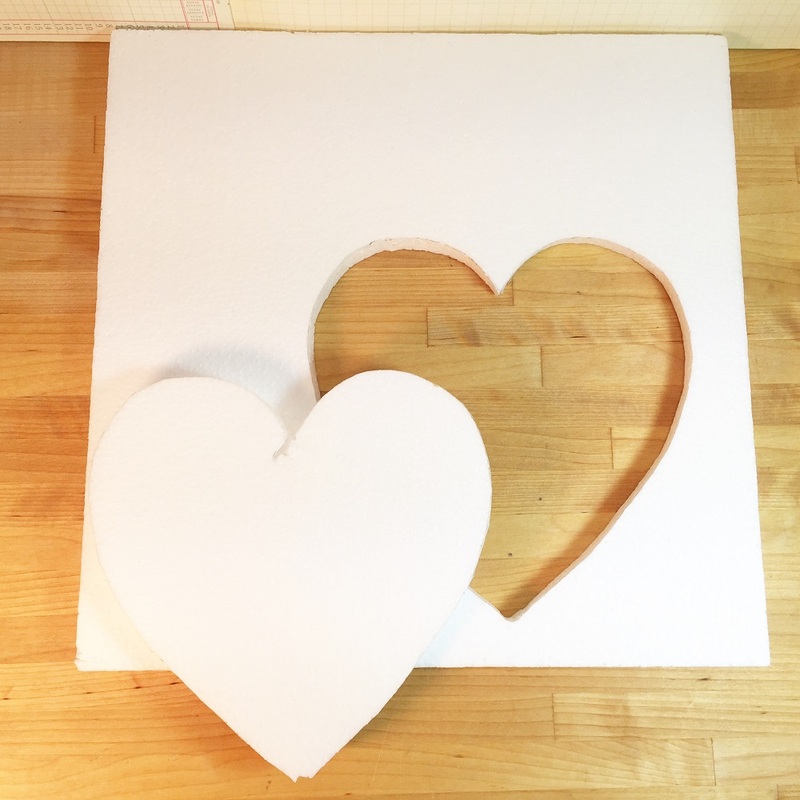 Draw and cut out a 5″x6″ heart on a piece of cardboard to use as a pattern. Cut three hearts and one stem from the Smoothfoam with a craft knife (use the curve of the heart as a guide to draw the stem). 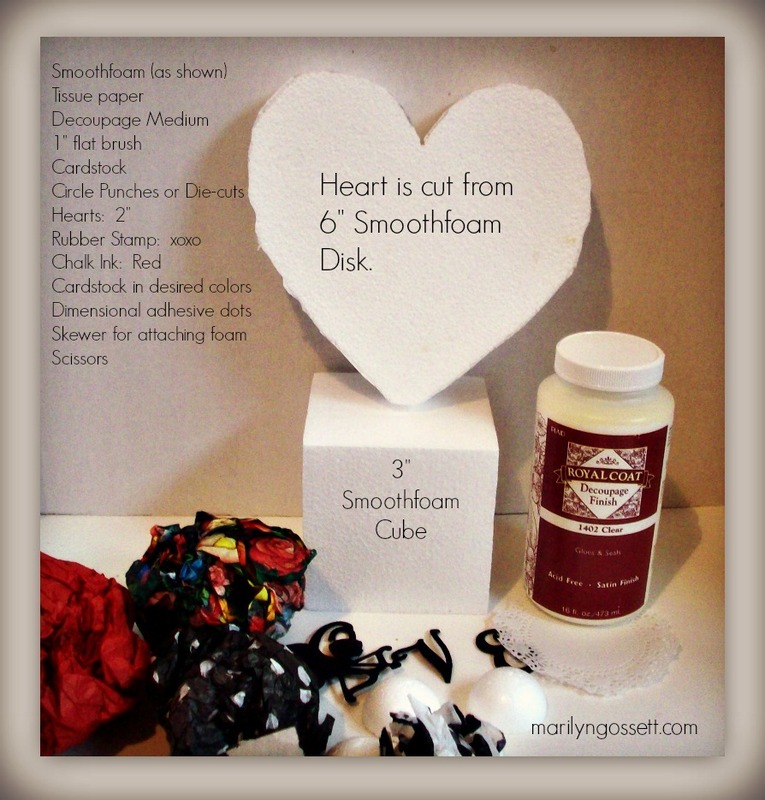 Rub a scrap of Smoothfoam along the cut edges of the hearts to smooth as needed. Paint all the pieces and let dry. Tape ribbon around the edges of each piece. 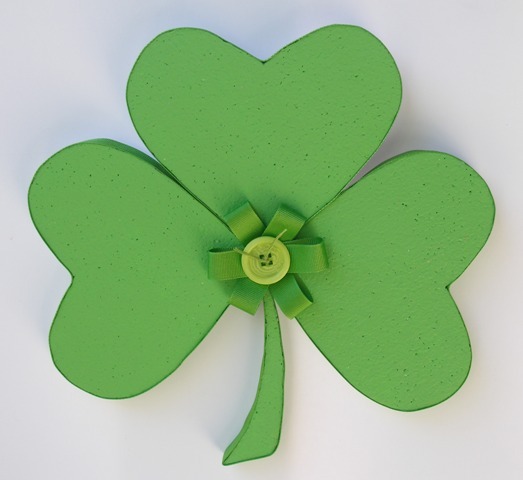 Glue the pieces together in the center to create the shamrock. Make a rosette from the ribbon and glue it in the center. 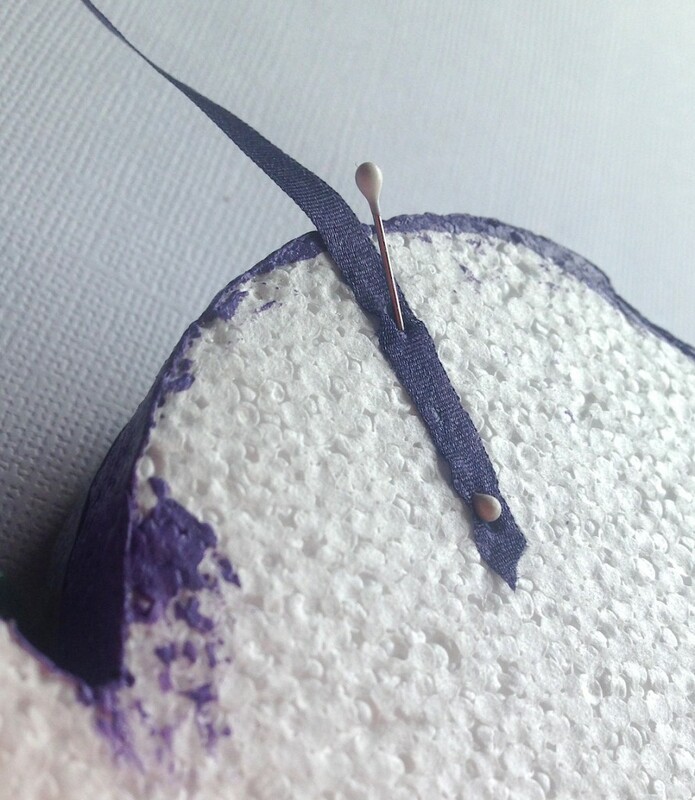 Add floss ties to the button and glue the button in the center of the rosette. Glue a ribbon loop on the back for hanging. 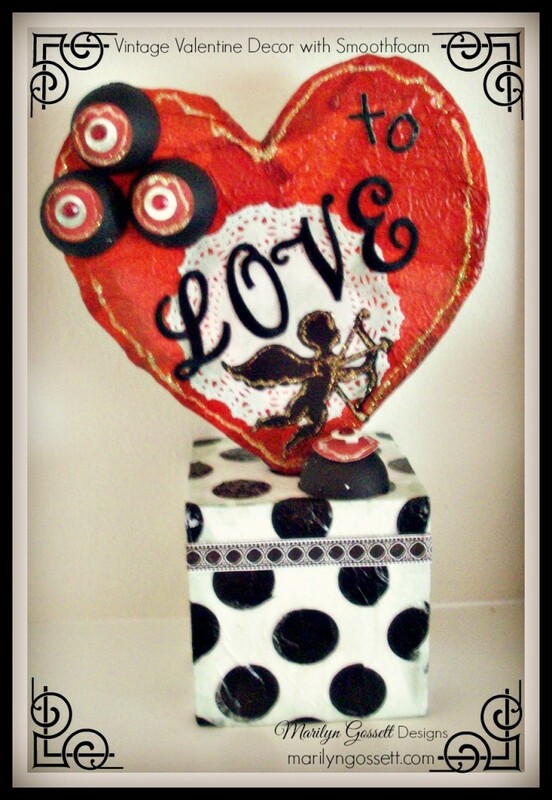 February is here and LOVE is definitely in the air! I love to decorate my house for the holidays and Valentine’s Day is no different. 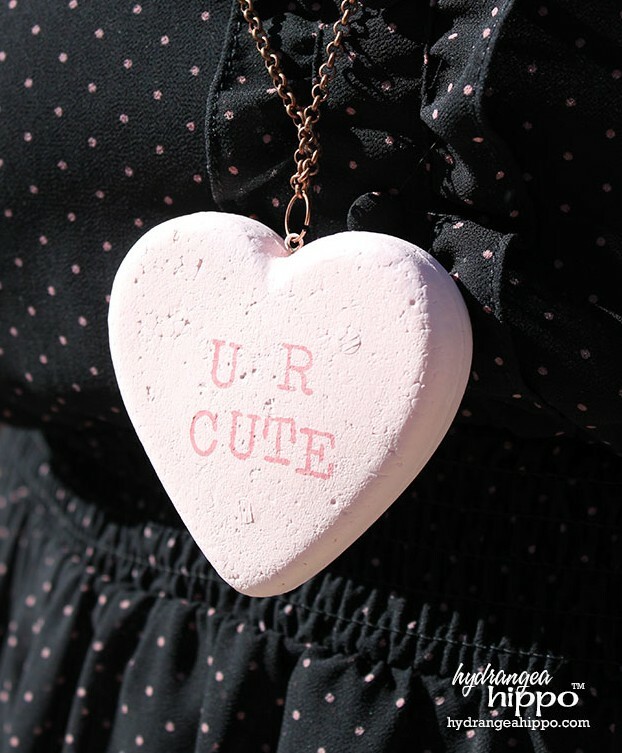 Traditional wreaths are nice, but I like to think of creative Valentine door hanger crafts to decorate my front door. This quick and easy LOVE Valentine’s Day plaque is a great alternative to a traditional wreath! 1. Paint the plaque with Dark Chocolate and a flat brush; let dry. 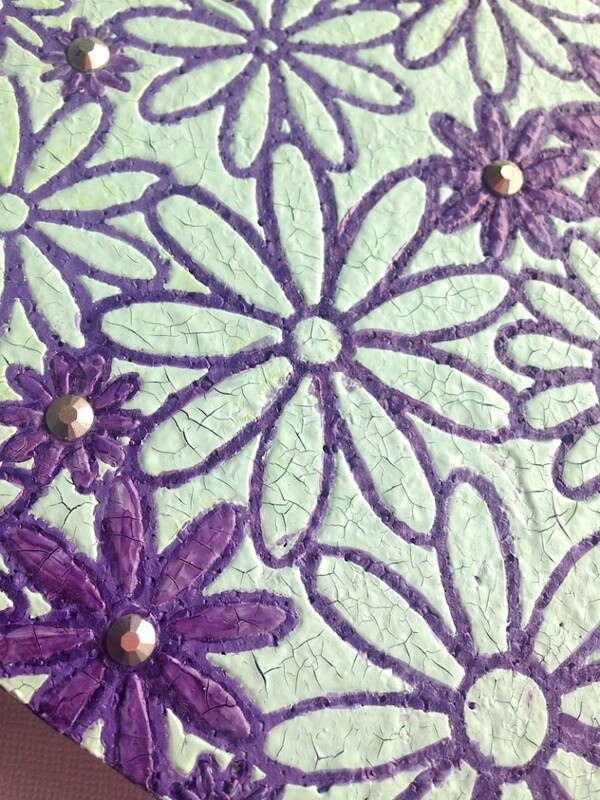 Apply crackle medium on top, set aside to dry according to directions on package. 2. Apply Lipstick Stickles to chipboard letters, then sprinkle with Tourmaline Glitter to create a two-tone effect; set aside to dry. 3. 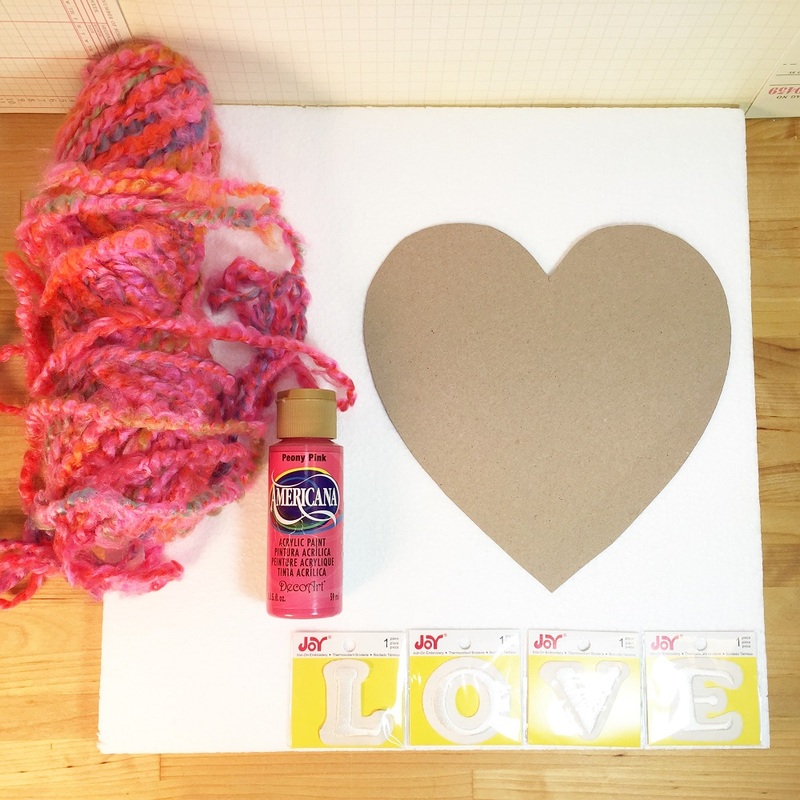 Glue one end of the yarn to the back of the Smoothfoam heart. 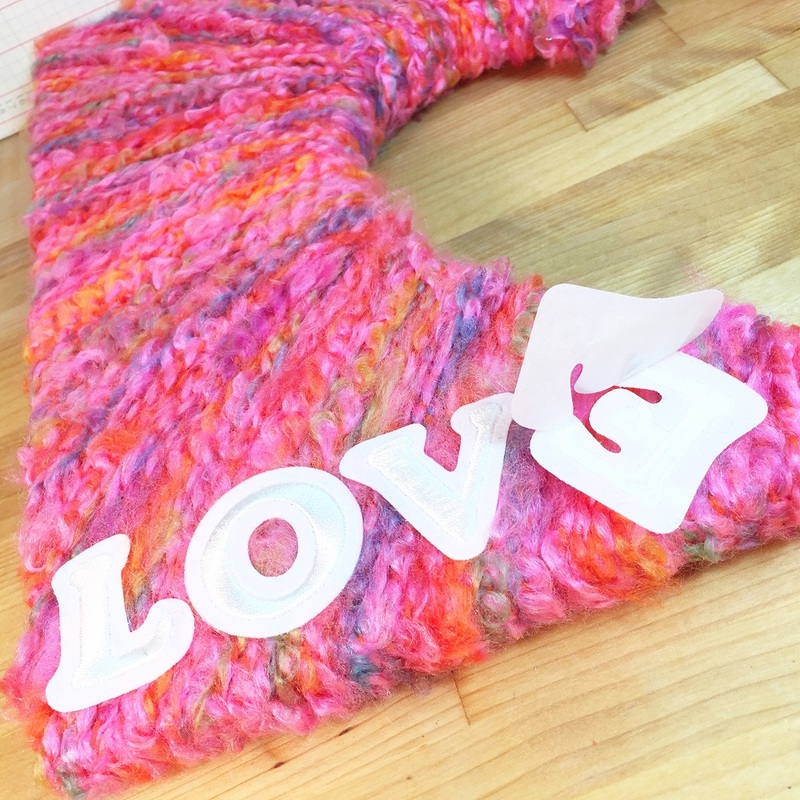 Wrap the yarn around the heart, gluing in random spots until the entire heart is covered. 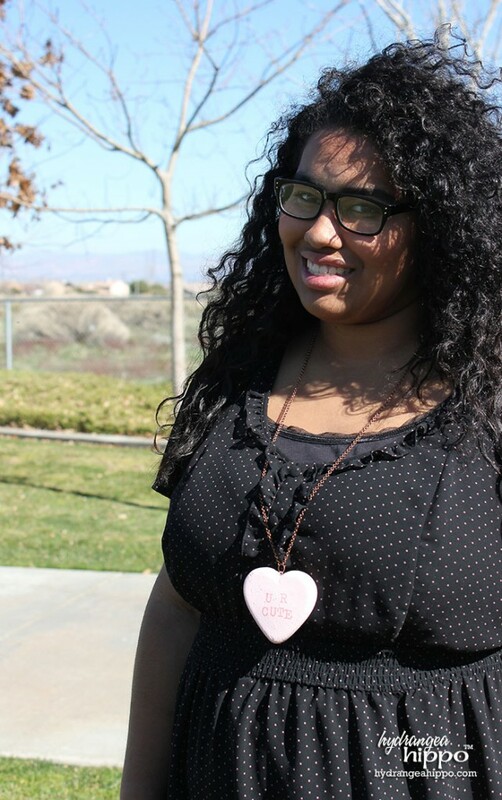 Thread twine through the button, tie in a bow and glue it to the front of the heart. 4. Paint the plaque with a topcoat of Bleached Sand; let dry and crackle. 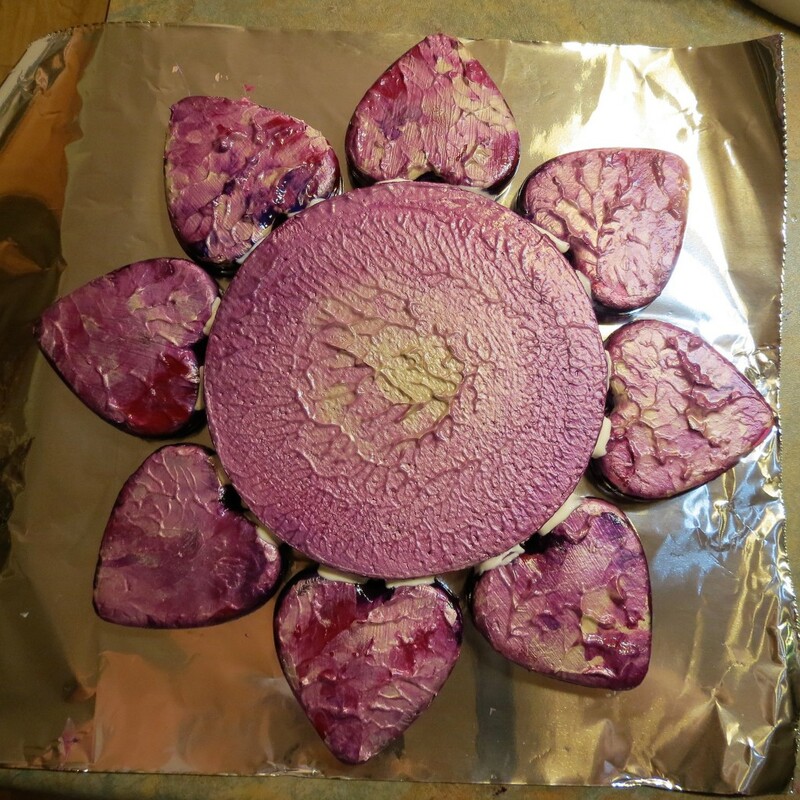 Outline the plaque with Mulberry using a thin, round brush; let dry. 5. 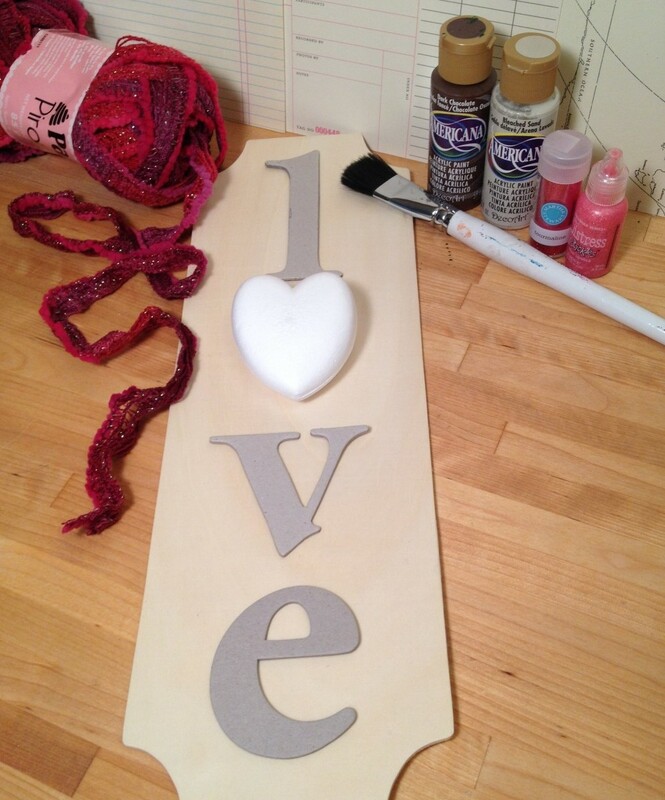 Glue the chipboard letters and the yarn-wrapped heart to the plaque.